Nigerian Womenswear Brand, Fits by PJ Fits releases its new Debut Collection titled Allure. The Collection features Elegant Jumpsuits, Dresses and Two Pieces with Vibrant plain colors characterized with Fascinating Eccentric Details . According to the Brand, The collection was inspired by the need to create outfits that speak Confidence, independence and most importantly are comfortable. 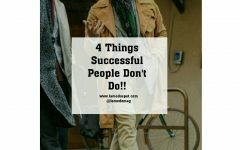 4 Things Successful People Don’t Do!! Meet JPKOUTURE By Hadassah Fashion Designer showcasing At The La Mode Magazine Green October Event 2016 Edition!